How much would you risk to turn your life around? Unemployed ex-party girl Angela Cray is back living with her no-nonsense mother in Phoenix. After coming within air-kissing distance of a felony charge, Angela is determined to make something of her life. When a sympathetic neighbor offers her work, Angela jumps at the opportunity. She figures it won’t be hard to track down a missing fiancé last seen with two Lady Gaga lookalikes. After all, one of her superpowers is finding badly behaved men. 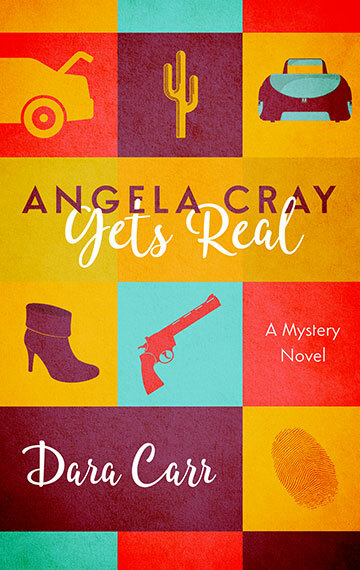 Angela Cray Gets Real was a finalist for a Freddie Award for Writing Excellence from the Mystery Writers of America/Florida chapter.